Brewed using 100% Omachi rice co-developed by Kikuchi Shuzo pursuant to the pesticide/fertilizer-free Kimura Natural Cultivation Method under supervision by Akinori Kimura of "MIracle Apple" fame. 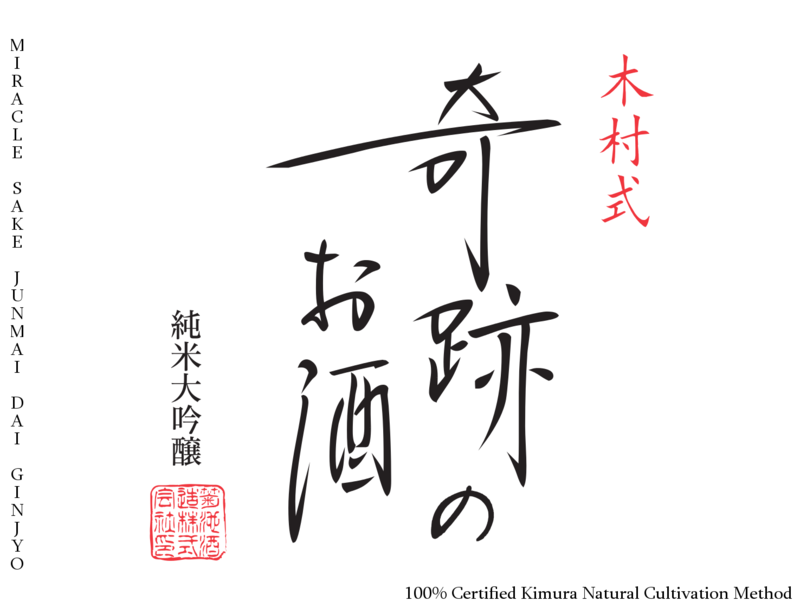 Miracle sake has been certified by the Okayama Prefecture Kimura Natural Cultivation Method Authority Executive Committee. Natural sake produced from rice cultivated without the use of pesticides or fertilizers. A hint of a pale straw color. Bursting with a fruity perfume of ripe yellow apples, the sweet apply character carries through to the palate, backed by notes of soft yellow pear and a hint of vanilla.